The first collections of periodicals, newspapers and dissertations have been moved from the University Library to the new remote storage facility in the Van Steenis Building. 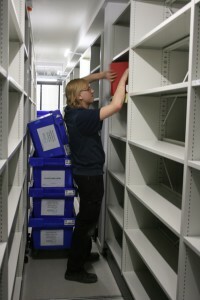 In this building 38 km of additional shelves are available. The relocation lasts from March to May. During this period it may occur that requested material is not available up to one week.